He founded Sports Capital Partners in Sep 2001. It is a consulting and investment service firm for sports teams and media assets. From 1994-2004, he was president of Madison Square Garden. In 1997, he took on the ambitious acquisition and comprehensive restoration of New York’s historic Radio City Music Hall. Under his leadership, Madison Square Garden was named Arena of the Year for six straight years. From 1983-1989, he was president and general manager of the Utah Jazz. 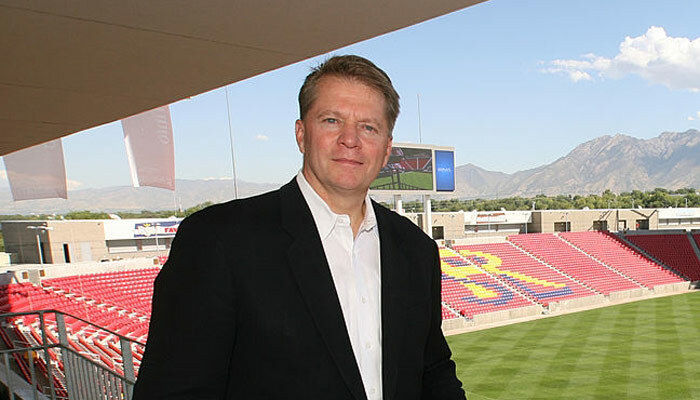 He studied at BYU and UofU before joining Bain Capital in Boston. He is also on the Board of Directors of . Jetblue Airways. He resides in Conneticut with his wife Deb. They have six children.